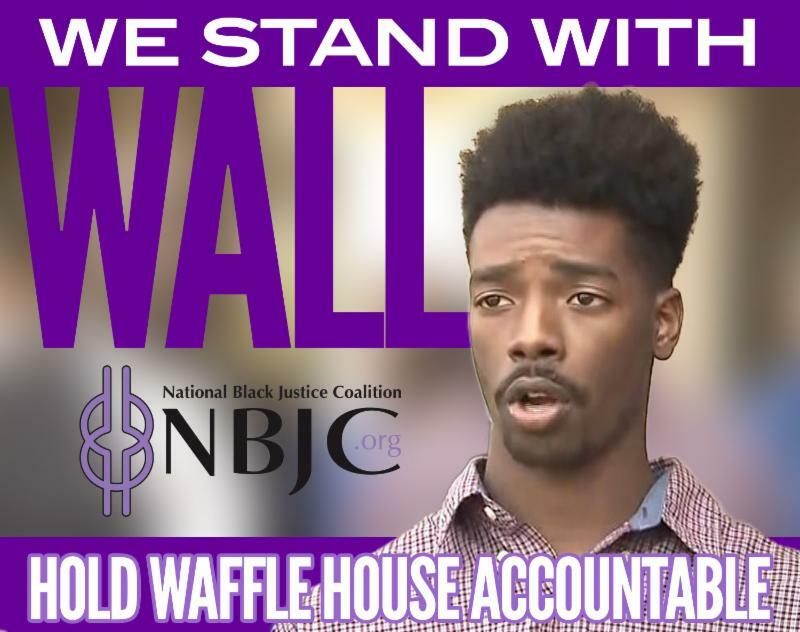 The National Black Justice Coalition (NBJC), the nation’s leading civil rights organization dedicated to the empowerment of Black LGBTQ and same gender loving (SGL) people, joins calls for #JusticeforAnthony, which has developed in the aftermath of a violent chokehold and unjust arrest of Anthony Wall at a Waffle House in Warsaw, NC. Anthony Wall, a 22-year-old Black gay man, took his younger sister and her friends to a local Waffle House in Warsaw, NC on May 4 after escorting her to the prom. During their time at the Waffle House, Anthony—and those that were with him—got into an argument over their table not being cleaned for service. This argument led to an altercation where Anthony says inappropriate homophobic slurs and threats to inflict physical harm were said to him, and one Waffle House staff member going as far as to take his shirt off to fight. Police were called, which later resulted in Officer Frank Moss of the Warsaw Police Department allegedly choking Anthony while throwing him into a window. He then threw Anthony to the ground before arresting him. A now viral video captured on a cellphone shows Wall being choked and slammed against a wall by the police officer. During the exchange between Officer Moss and Anthony, Anthony pleads for his safety and requests intervention from a supervisor and later another officer. The fear that Anthony has for his physical safety—for his life—is evident throughout the footage that has been shared. While the officer was more than twice Anthony’s size, Warsaw police chief, Eric Sutherland, said that an officer can use physical force on a subject if the person is not complying. Anthony has since been charged with disorderly conduct and resisting arrest. This incident happens within weeks of the case of a 25-year-old black woman, Chikesia Clemons, was thrown to the ground by three white police officers at a Waffle House in Alabama over a dispute about plastic utensils. Both Anthony and Chikesia’s cases coincide with a flurry of very public racial incidents highlighting threats to Black bodies in public spaces, including at Starbucks and Yale University. Most recently , Deja Smith, a Black transgender woman and celebrity makeup artist, was denied service at a Texas Chicken and Burgers restaurant in Harlem, New York—a community that, despite aggressive gentrification, remains Black in occupants and culture. The discrimination against Deja was captured on video as non-Black and presumably non-queer patrons were served without incident or question, while Deja and her colleagues are told the items they requested are unavailable. These incidents are beyond troubling and require a national discourse rooted in impactful policy changes. Most importantly, a sense of reconciliation and healing for all communities are needed—no matter their background or status in society. Call the Warsaw, NC Mayor’s Office and voice your strong concern about his support of the police who violently attacked and arrested Anthony. 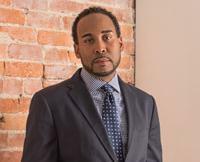 Call 910-293-7814 ext 106 and demand that Anthony’s case be thoroughly investigated and results in accountability of the police officer who attacked Anthony. Call the Waffle House Corporate Offices at 770-729-5700 and alert them that you will be boycotting them and other companies that profit from Black business but do not respect the human rights of all Black people. Demand the corporation release a formal apology to Anthony and Chikesia for their treatment at their restaurants. Also, demand that Waffle House respond with a plan of action to ensure that these incidents of hate never happen again in their stores without accountability. Speak Out! We have the power to demand change from businesses that take our money, yet do not respect our humanity. Make sure everyone on your social media is aware of Anthony and Chikesia, and express that you will not be supporting any business that discriminates and dehumanizes Black people simply for demanding they be treated with respect. Use the hashtag #JusticeForAnthony and let’s start a national conversation about how we move forward in holding all parts of civil society accountable for the treatment of our families and loved one. 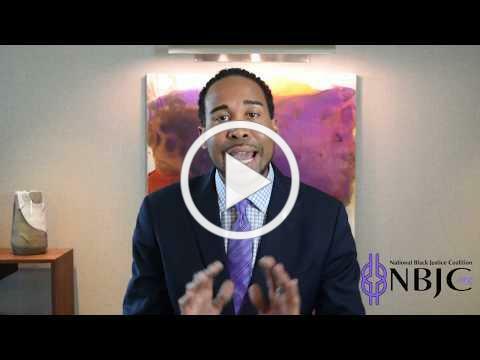 Support the work of NBJC as we continue to fight to bring awareness and hold accountable those entities that continue to discriminate and dehumanize our families and loved ones.